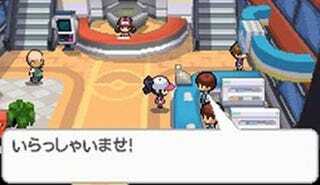 Upcoming Nintendo DS game Pokemon: Black and White is the fifth generation of Pocket Monster games. A new game means new Pokemon. Pokemon game developer Junichi Masuda blogged this about Black and White: "Right up to the ending, it's all new Pokemon." The reason why, Masuda continues, is that the team wants young and old players to begin from the same starting point. That way they both can enjoy discovering new Pocket Monsters. According to Masuda, those outside of the studio who have played the game say Black and White feels "fresh". One player says it's feels new — like playing through first Pokemon games. Pokemon: Black and White might not have the Pokemons you know and love. It has your new favorites Pocket Monsters.